Just a few steps to the Ninja temple -- a hidden tourist spot that is quickly becoming quite popular. 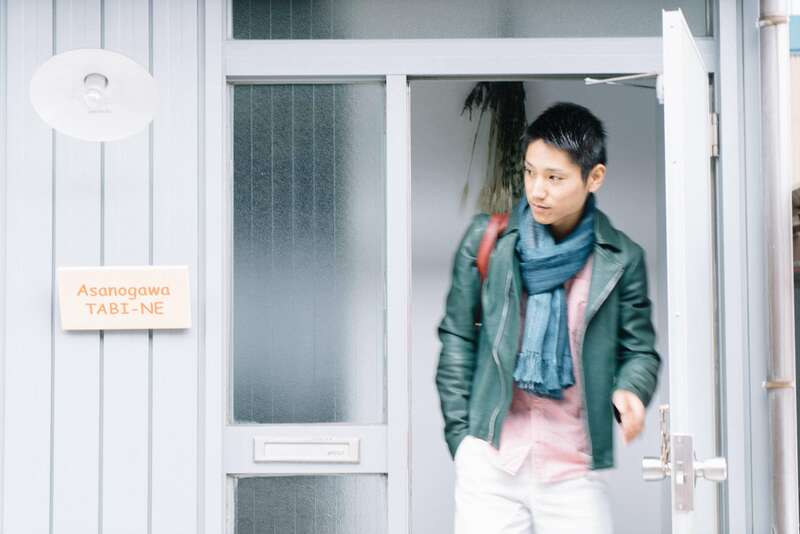 A 3 minute walk to the lively downtown area of Katamachi. 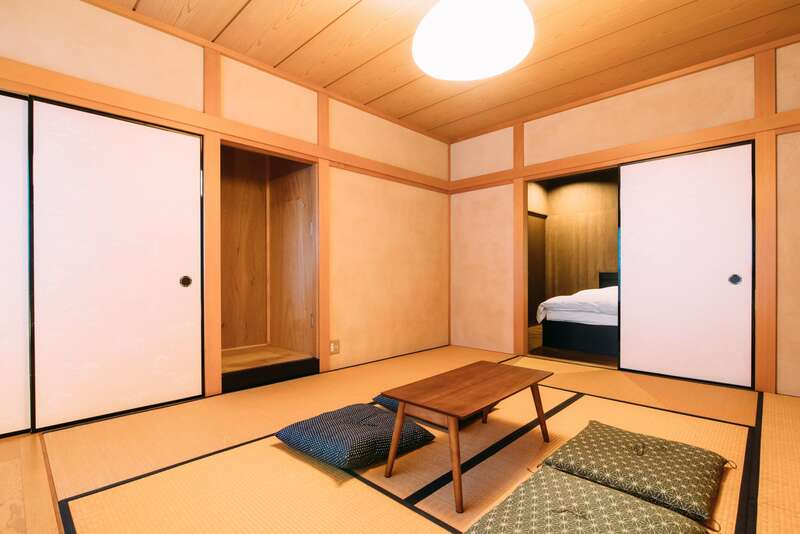 This house has been recently renovated and has 2 tatami mat floors decorated in the traditional Kanazawa colors of ultramarine and vermilion. 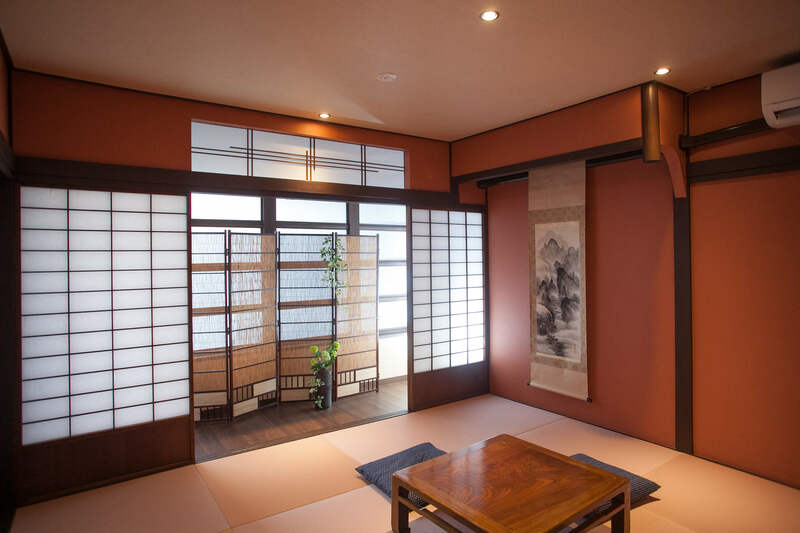 This is a traditional Machiya (old house) in a cozy area. This house has been newly renovated. 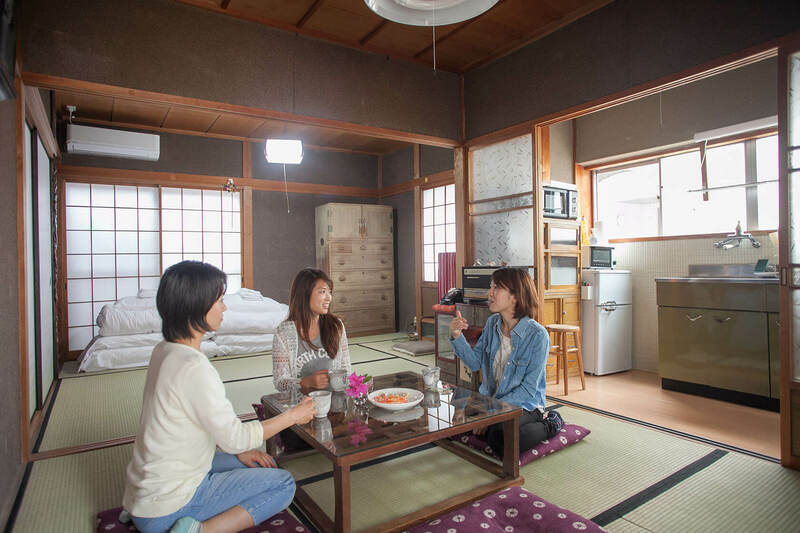 The 1st floor has a living room and a washing room. 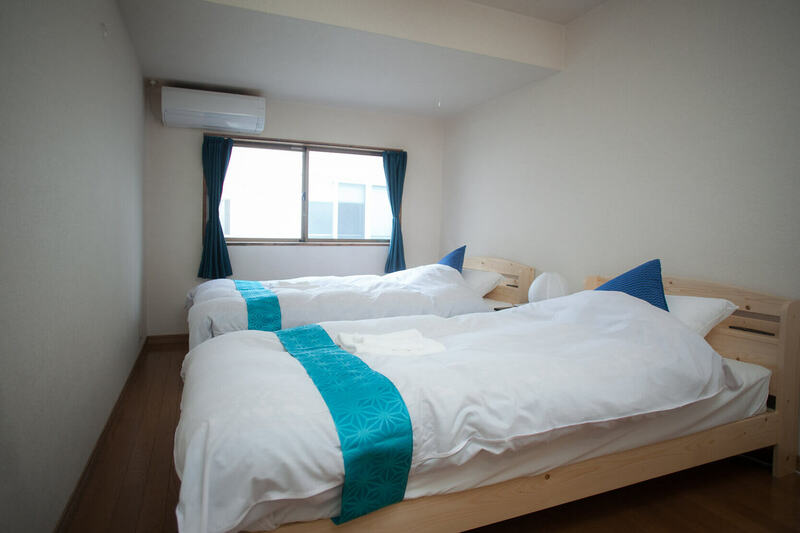 The 2nd floor has 2 bedrooms, one with futons and the other with semi-double beds. 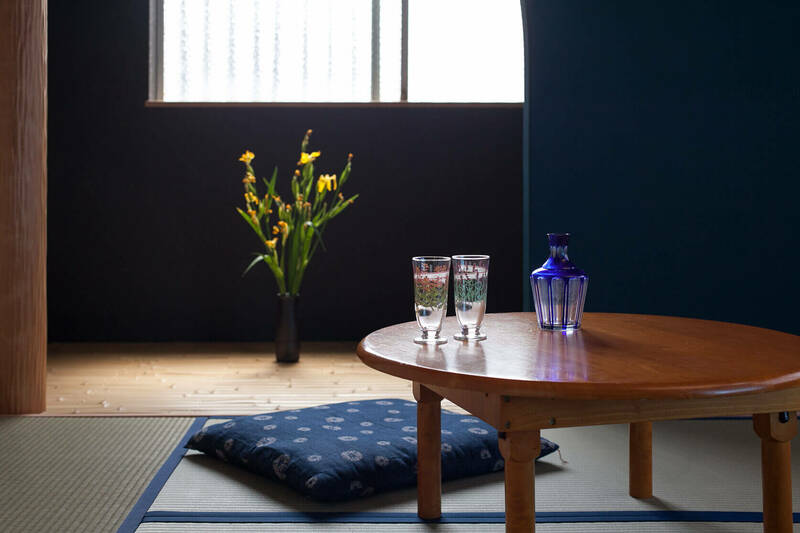 This house was designed by the florist "HANAMARU" which is famous in Kanazawa. You can feel the changing of the seasons through the flowers. 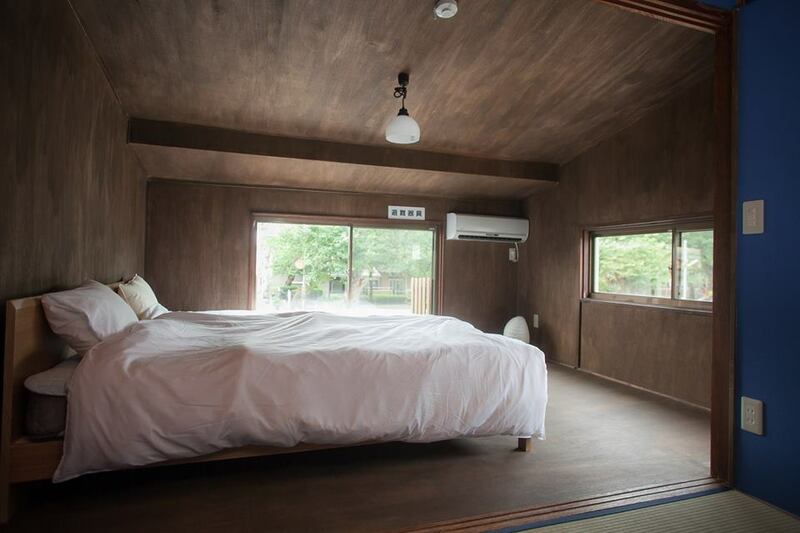 The 2nd floor has 2 bedrooms, one with futons and a single-bed. This house is a big whole house, you will feel relax as your home. 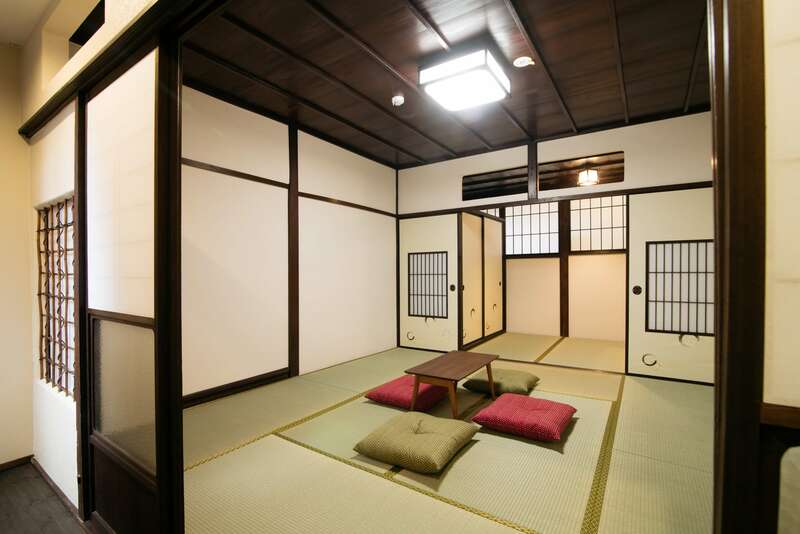 This is a whole house (Machiya) in a cozy area. 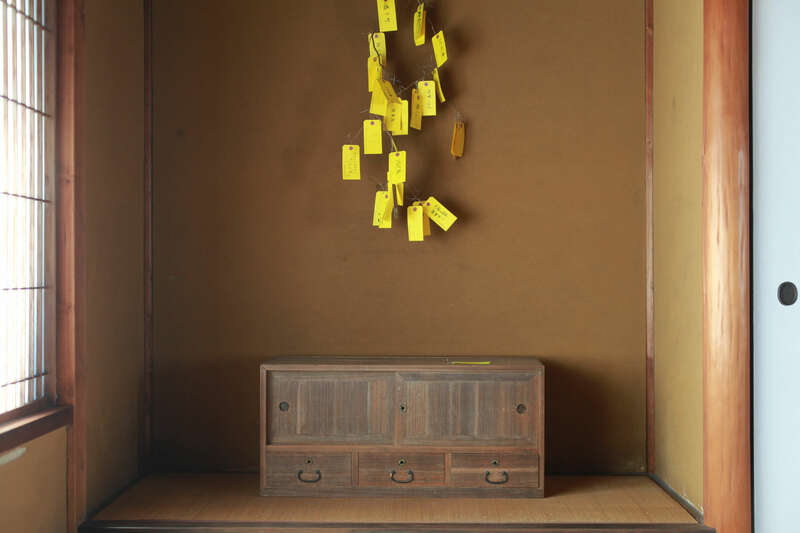 Contemporary Art Museum (21st Century Museum) and Zen Museum are just a 5-minutes walk. 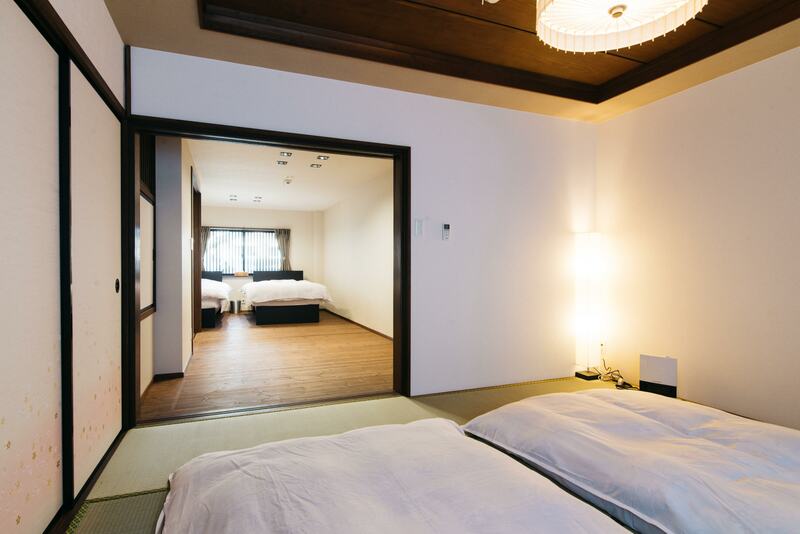 You will feel relaxed as if you had your own villa in Kanazawa. 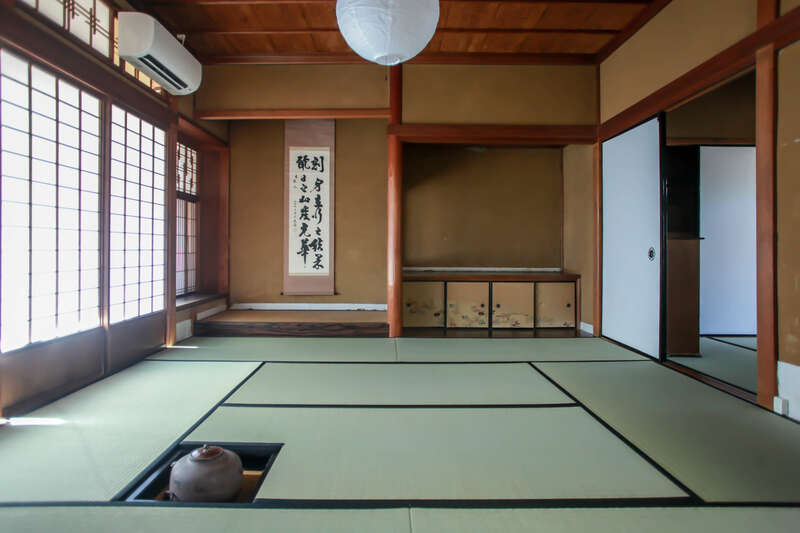 A geisha once owned and lived in this house. The antique furniture remains the same as when she lived here. 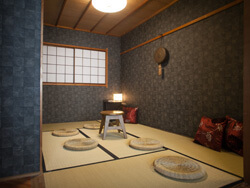 You can feel the old Japanese atmosphere and see what a geisha’s living quarters were like. 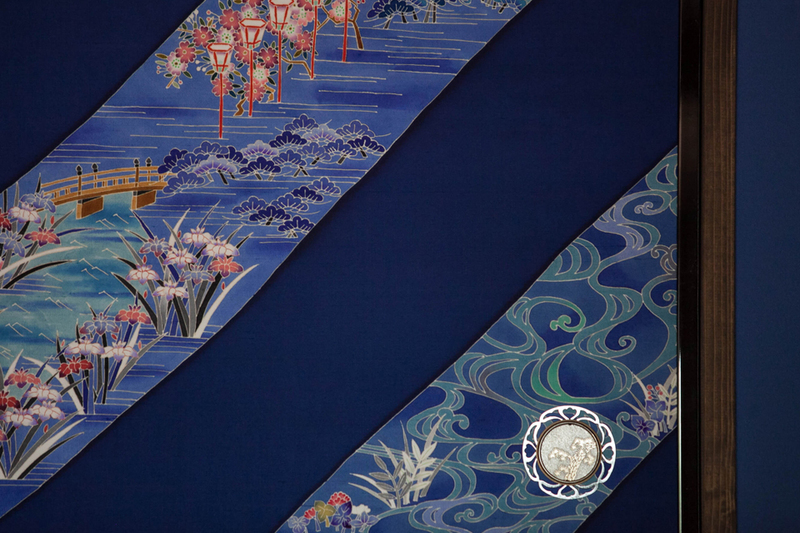 Within a 5 minute walk of the main sightseeing spots of Omicho Market, Higashi Chaya District and Kenroku-en Garden. The first floor has been newly renovated. 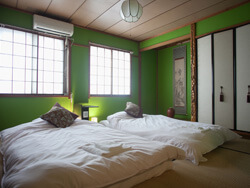 The second floor has 2 Japanese style bedrooms with the owner's antique pottery collection. This newly renovated house is spacious and has 3 bedrooms. 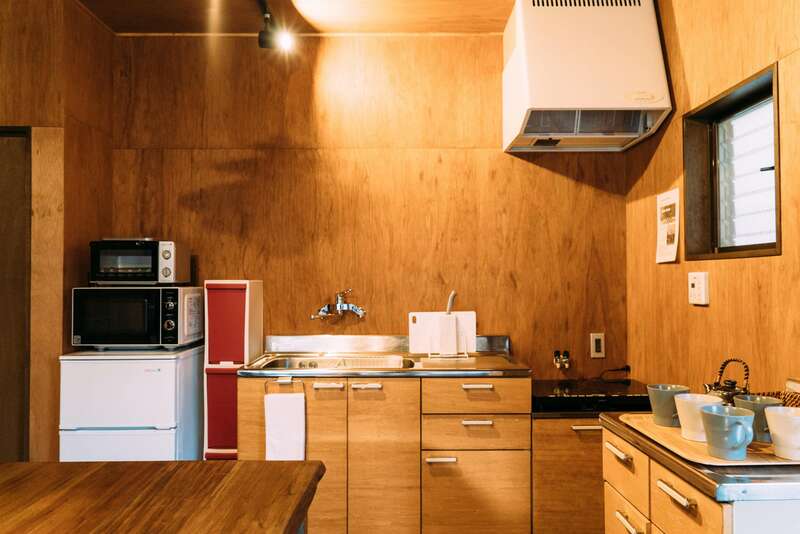 There is a well equipped kitchen and a nearby supermarket so cooking your own food is certainly possible. The house can accommodate a maximum of 7 people so it is a great choice for families or large groups. This is a whole house in a cozy area. 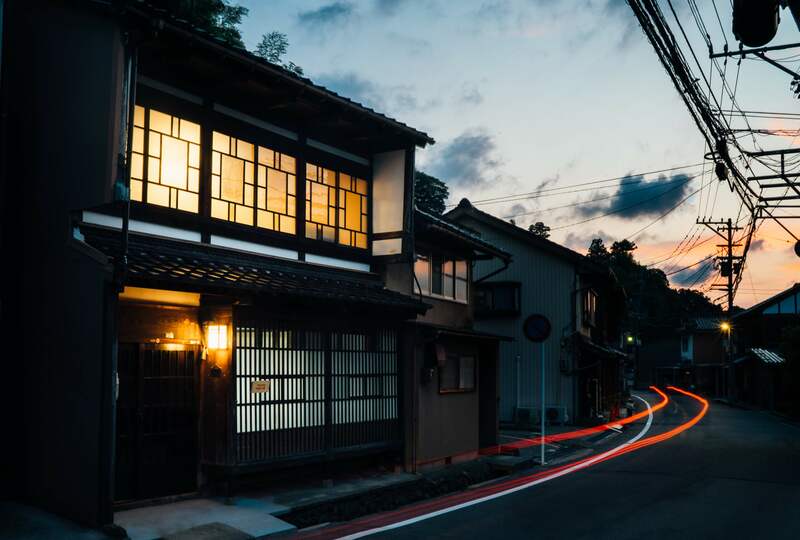 Ohmicho Market and Higashi Chaya District (Geisha town) are just a 10 minutes walk. This accommodation has a terrace with a river view where you can feel relaxed as if it were your home. This is a whole house with a garden, in a cozy area. 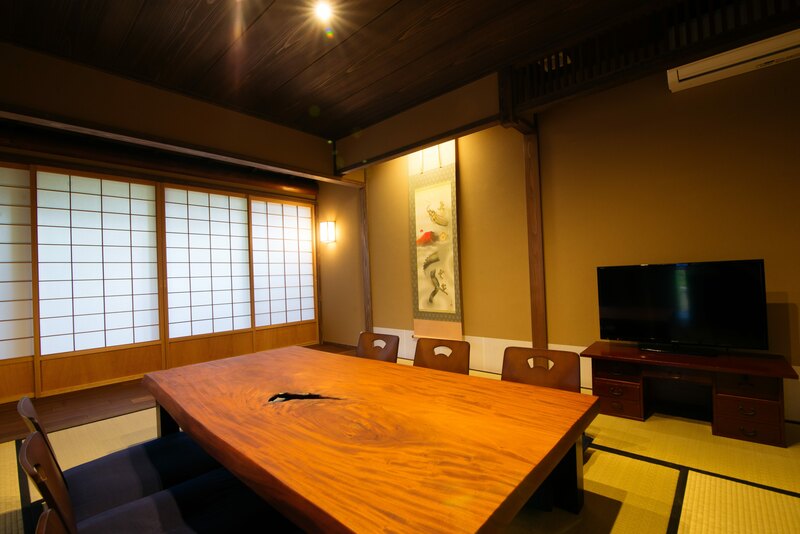 It located nearby kanazawa main station, it is very convenient for eating and access. 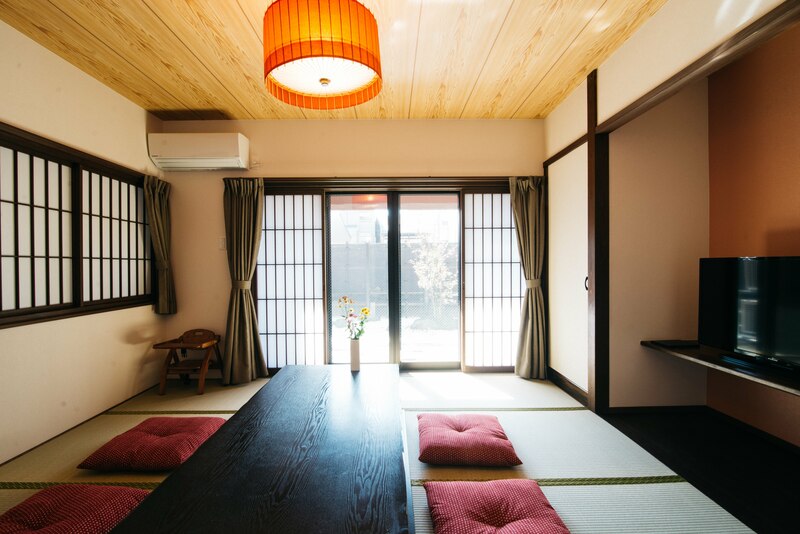 This house has a terrace (japanese engawa) with a garden view where you can feel relaxed as if it were your home. 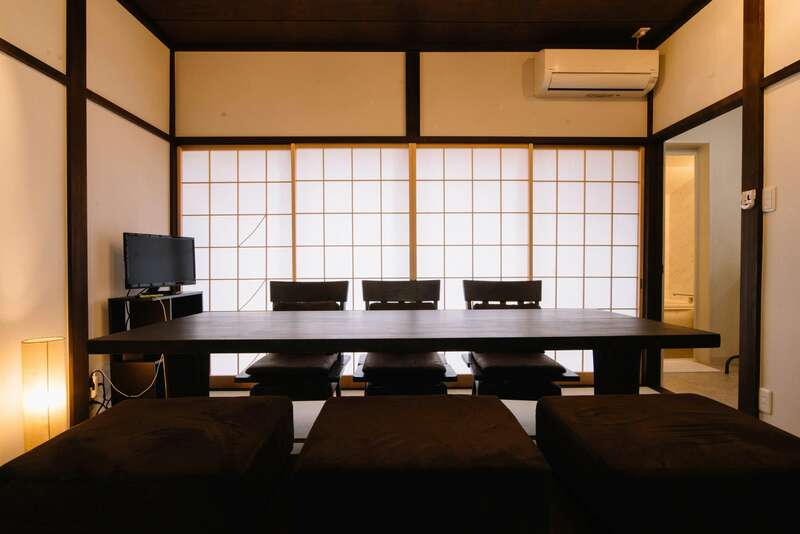 Located near Kanazawa Station, this house is very convenient for exploring Kanazawa and easily accessing Shirakawa-go. 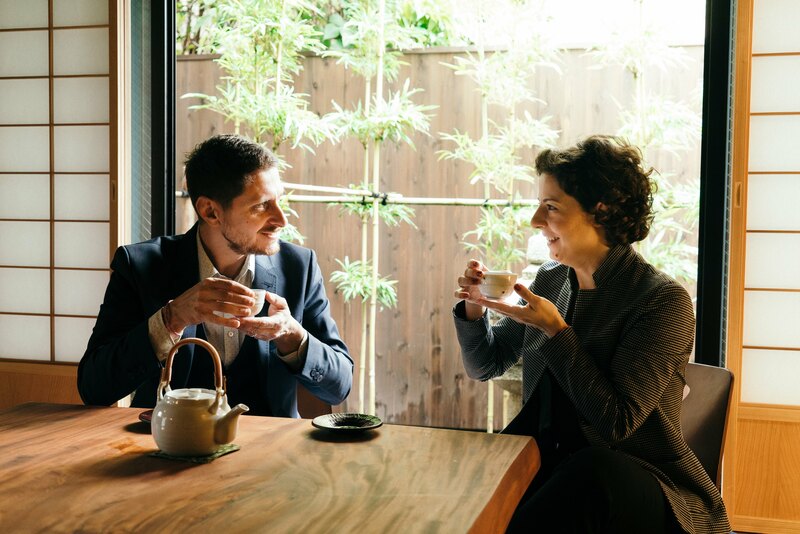 5 minutes walk from Kanazawa Station. 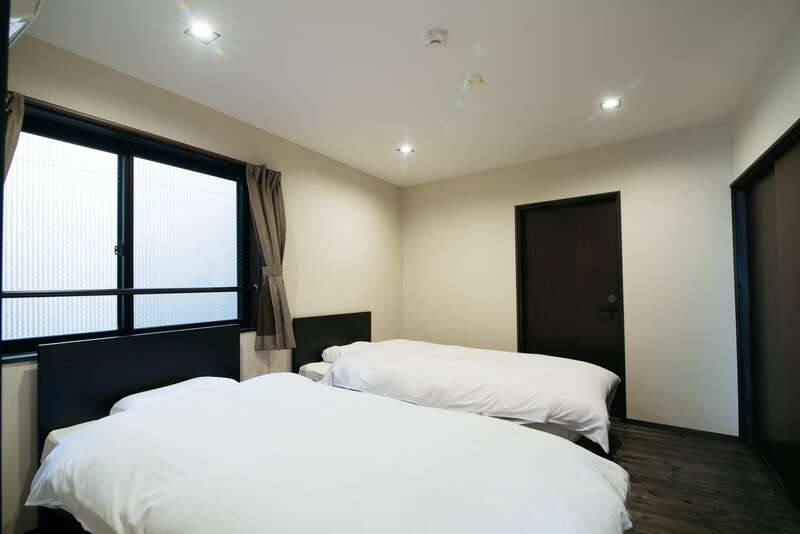 It is a brightly lit and spacious accomodation. 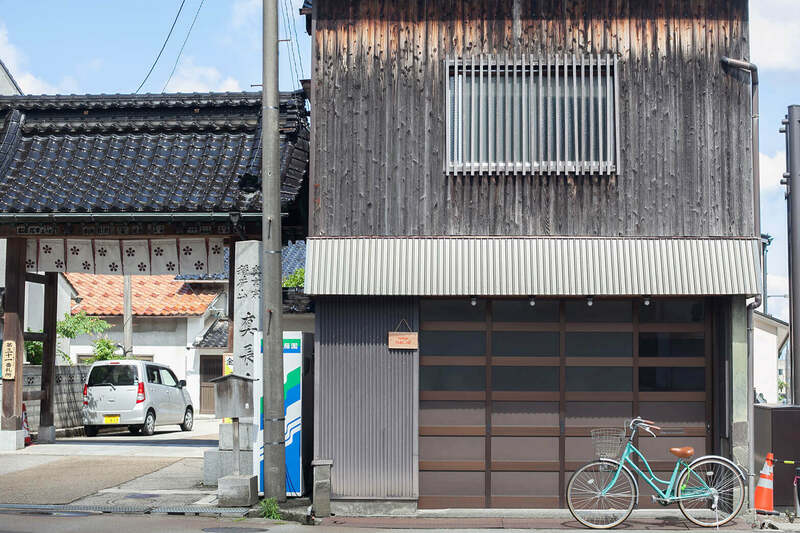 This building was once a confectionary shop that was renovated into a comfortable accommodation. Guests can enjoy the house and spacious rooms with their dogs. 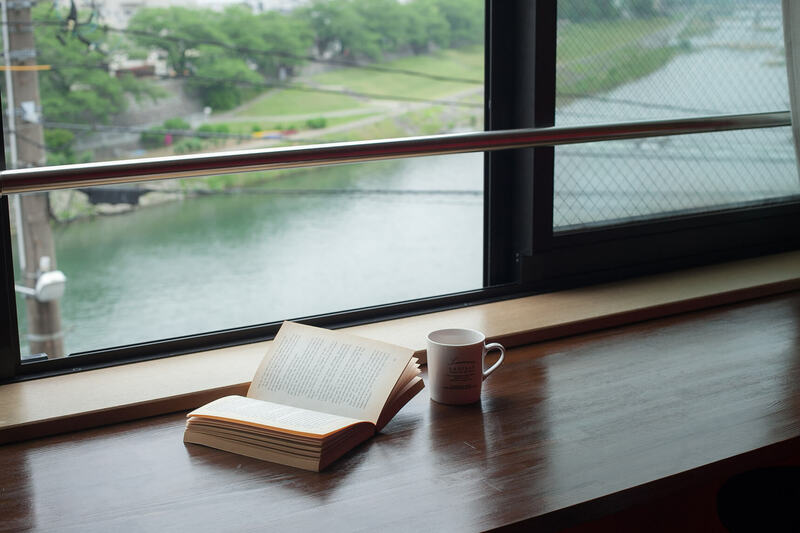 This apartment has a great view of the Saigawa river which can be heard when the windows are open. No matter the season, the view is unique and spectacular. Feel the changing of the seasons by watching the trees, birds, and mountains in the distance. 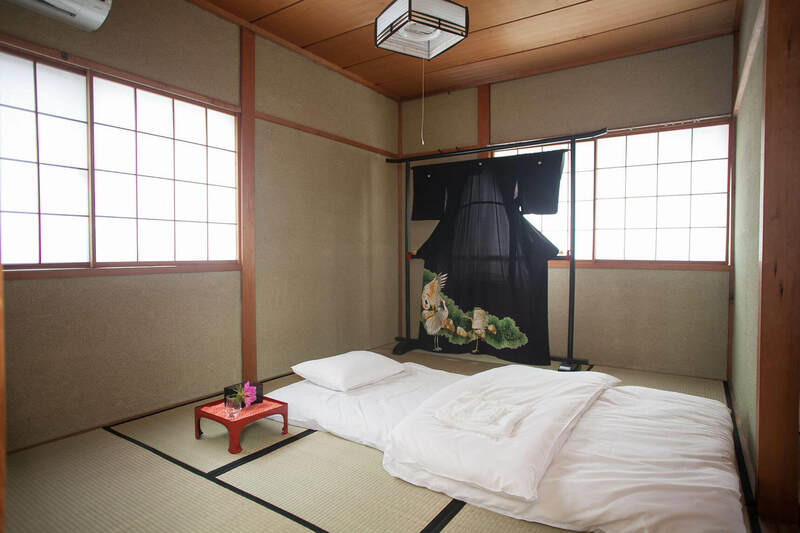 All room is a japanese-style, take off your shoes. 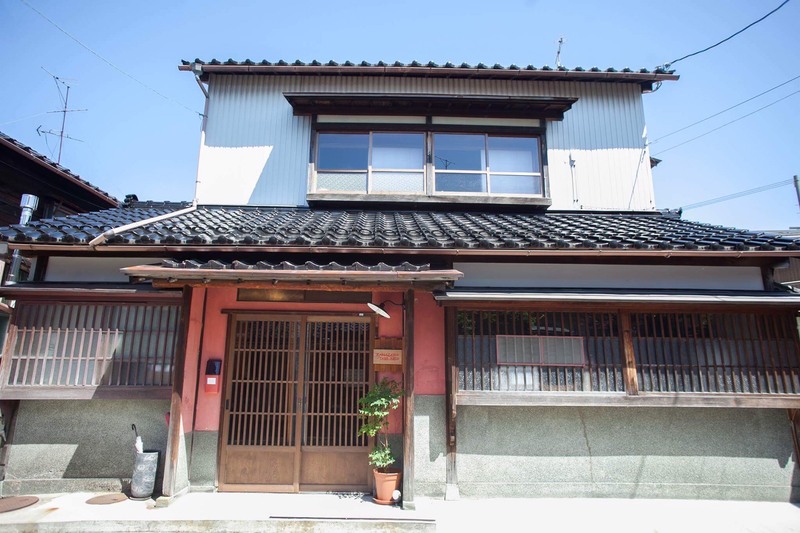 This house has been newly renovated,concrete building and tatami room and japanese colors, this design express new and traditinal like kanazawa history. (All room is no smoking room.) 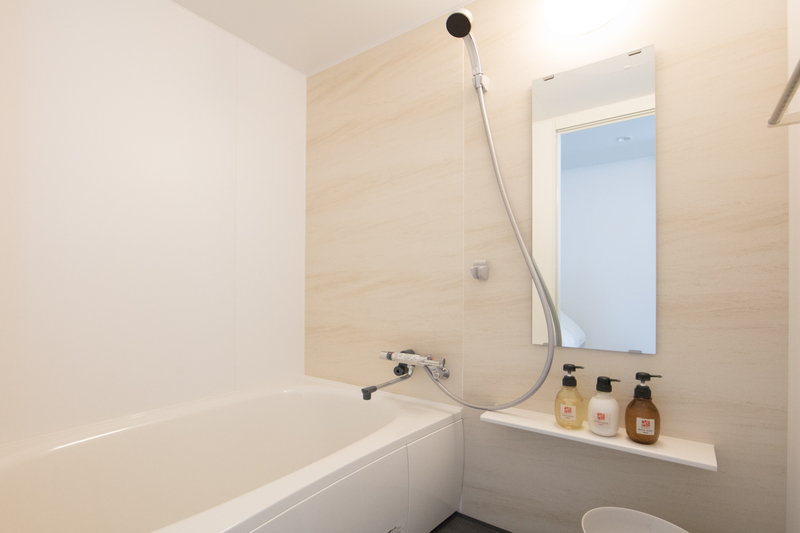 At 5th floor has shared kitchen and laundly, you will relax as your home. 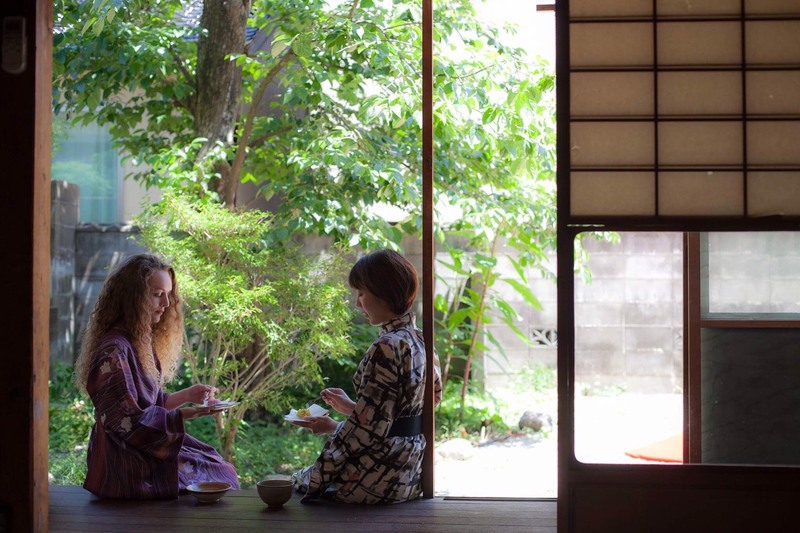 This 100 year old house is our communal house where you can meet locals and other travelers from all over the world through activities like potluck dinners, cooking classes, and sake tastings. 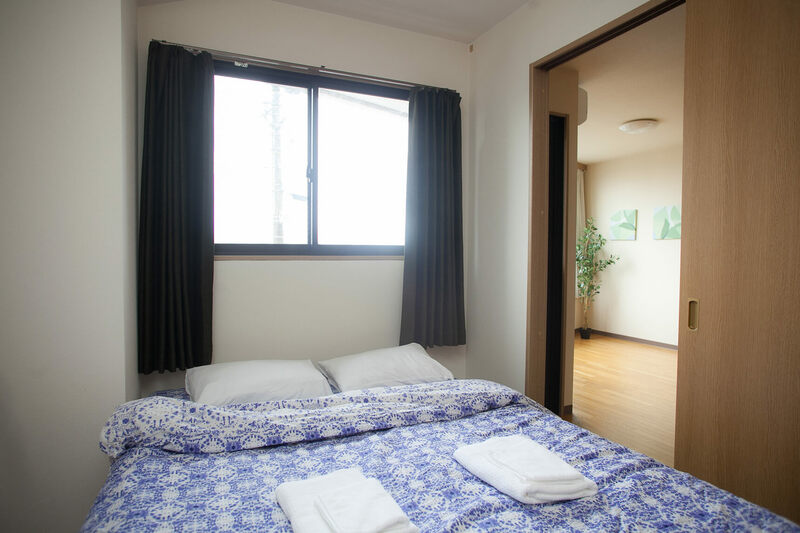 The first floor is a communal area and the second floor has 4 private rooms for the guests.